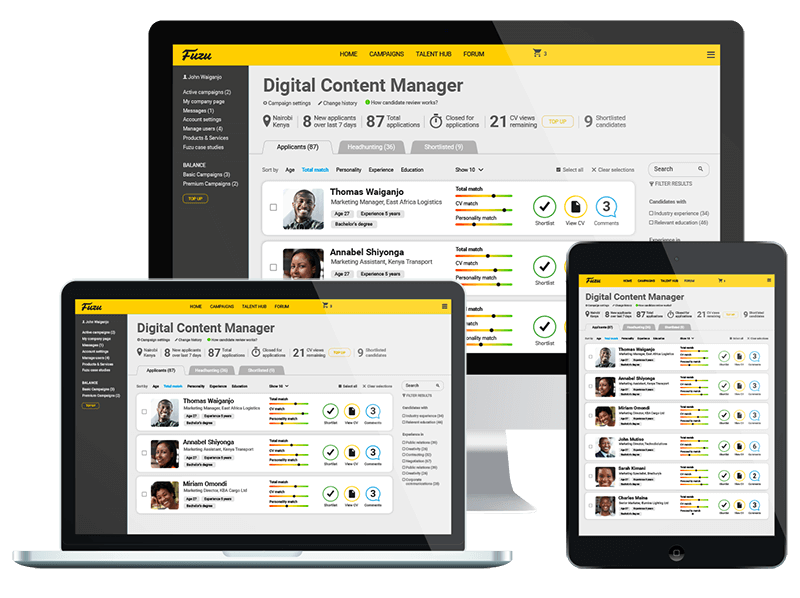 Fuzu Limited is set to officially launch “Fuzu” – an online Career Development and Talent Management platform in May 2018. Fuzu aims to satisfy the need for new innovative solutions that are focused on the job seeker, who they are, where their potential lies and how best their talent can be matched with the employment opportunities. The service runs on a highly technical AI-powered platform that supports career builders to find the best job opportunities, build skills needed to be successful and stand out with employers by showcasing their talent. Fuzu also helps employers find the top talent in the market with advanced, but very easy to use, merit-based analytical tools powered by a Machine Learning Algorithm. The platform allows job seekers irrespective of their level of education and seniority, to dream and plan for their future, to learn new skills and competencies and ultimately find a job that best matches their profile. It also provides a personalized experience to the job seeker; with job opportunities matched to their skills and interests, personalized course recommendations to learn new skills they need for their dream job and personalized advice at every step of their career. Fuzu provides a set of resourceful tools that enable finding of best matching candidates through powerful search and recruitment solutions and automated analysis of CV’s, by integrating a psychometric testing and talent profiling of candidates to the application process. This makes it easy to find candidates that best match with their requirements. Fuzu will help take all the hassle out of shortlisting by automatically ranking candidates not just based on the quality of the CV but also the personality fit and talent the candidate has. Fuzu was recently elected as one of the Disrupt 100 companies, out of 5 million startups across the world, by Tältt Ventures and as the 3rd most exciting growth company across Africa by African Business Review. Fuzu is currently backed up by over 20 partners in Uganda already that include; KCCA, ICT Association of Uganda, Microsoft, M-Kopa, SafeBoda and local innovation hubs like Innovation Village, VentureLabs, and Outbox.